I received this book as an ARC from Sourcebook Landmarks having never heard of neither it nor the author. It took me a month or so after publication to get around to reading it, because of other commitments mostly, and also due to a bit of a reading block, but now that I have I can honestly say that I wish I’d gotten around to it sooner. The story is about two women; one, Sara, who lives in Sweden and the other, Amy, who lives in the United States. Their differences are immense but they have one thing in common- they both love books and reading. This is the formation of their friendship and they send letters back and forth between one another, discussing books, town life and their own feelings. Sara is invited to visit Broken Wheel, the town where Amy lives, and when she arrives is faced with the horrific truth that Amy has died and that very day is her funeral. 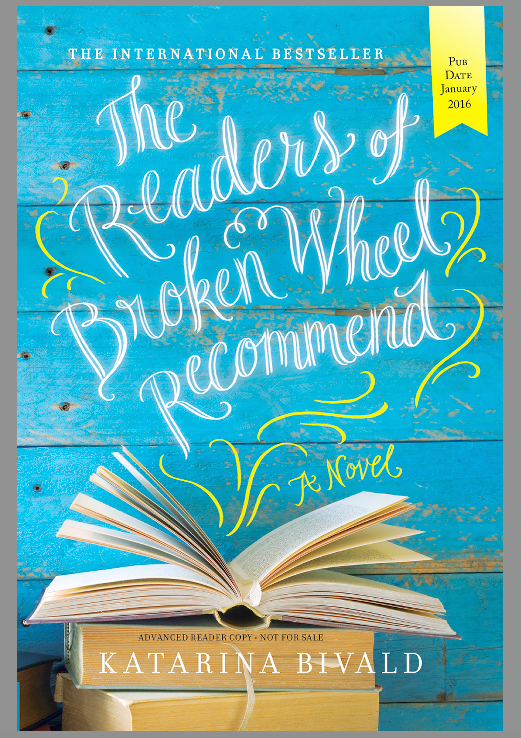 The story follows the relationships that Sara makes with the residents of Broken Wheel, the building of a community bookstore and a very risqué plan that could change Sara’s life forever. I absolutely loved everything about this book. I can’t believe that this is a debut novel, the prose is so sophisticated and natural and I found myself laughing, melting and felt all sorts of other emotions all the way to the very end. 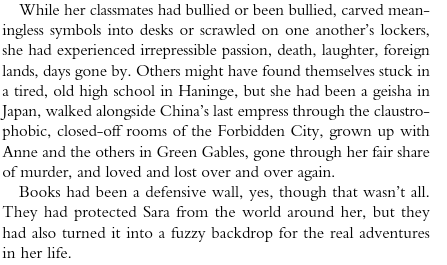 I loved that the letters that Amy sent to Sara were included throughout the novel, so we really got to get a feel of Amy’s personality and the reasons behind why she wanted Sara to visit her decrepit town so much. I love how Bivald touches on the harsh realities of racism in the states and how this affected the relationship between Amy and John, a black man who she truly loved. I found the comments that Caroline made about Christianity (and being unchristian) absolutely hilarious and I loved the idea of her reading gay erotica. It addressed all of these things respectfully, with humour and grace. I loved each and every one of the characters, found myself rooting for Sara and Tom from the first few pages but I have to say that George and his love for his daughter was something that I loved the most. This book honestly had it all and I recommend it to the masses, it has blown me away in all the right ways and I look forward to reading more by the author in the future.